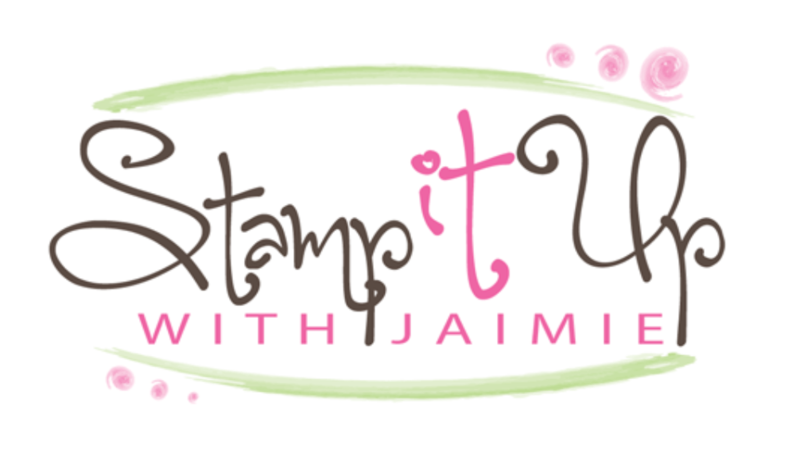 I used new Swirly Bird stamp set and die bundle from the upcoming Stampin’ Up! catalog to create my card to share today. Speaking of the new catalog…I’m heading to the Post Office to ship out catalogs to customers who’ve ordered from me within the last year, so you should have your catalogs very soon! If you don’t have your catalog by Monday, let me know and I’ll track it down for you. 🙂 If you’re not an ordering customer of mine, but would like to be and want a new catalog, please fill out my catalog request form and I’ll send yours out ASAP. My card design was inspired by CAS(E) this Sketch #171. The theme for my card was inspired by CAS-ual Fridays CFC147. And the single focal point was inspired by Stamp Ink Paper #47. I started by cutting a panel of scrap paper with one of the Lots of Labels Framelits dies. I placed the negative of the die cut over a panel of Whisper White card stock and I secured it with Post-It Note Tape, then sponged So Saffron in over the die cut. I removed the mask and stamped the sentiment from the Cottage Greetings stamp set in Soft Suede ink on the panel. I inked up the splatter image from the Swirly Bird photopolymer stamp set (available June 1) in Calypso Coral ink, stamped it on scrap paper then stamped it on the panel. 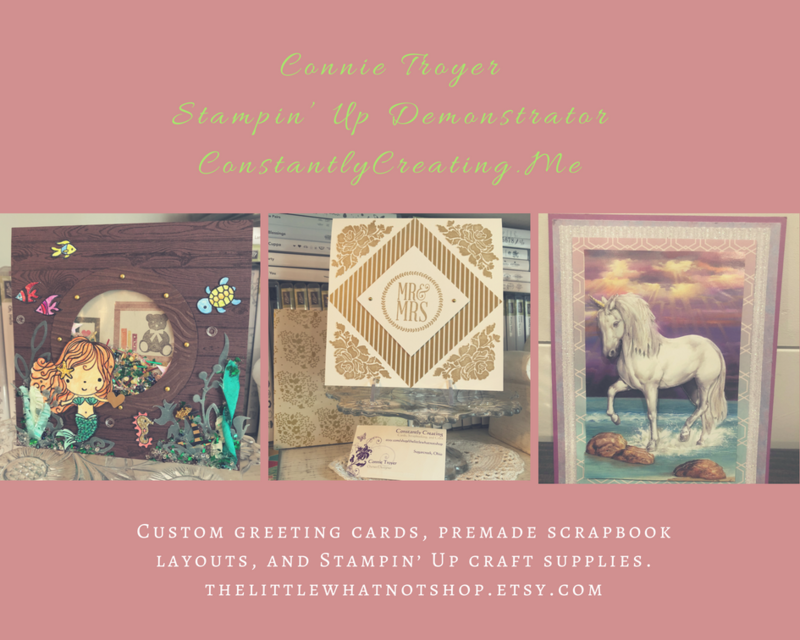 I adhered the stamped panel to a panel of Calypso Coral card stock with SNAIL, then to a Soft Suede card base with Stampin’ Dimensionals. I cut the nest from Soft Suede card stock with the Swirly Scribbles Thinlits die (available in a bundle with Swirly Bird stamp set on June 1), snipped the center out to make it look more like a wreath, then adhered it with Multipurpose Liquid Glue to the card front. I stamped the flower and leaf images from the Swirly Bird stamp set in Calypso Coral and Pear Pizzazz inks, stamped them on Whisper White card stock and cut them out with the Swirly Scribbles Thinlits Dies. I adhered the flowers to the card front with Glue Dots, then added some Rhinestone Basic Jewels to finish it. I stamped the sentiment from the Cottage Greetings stamp set in Soft Suede ink and the flower and leaf images from the Swirly Bird stamp set in Calypso Coral and Pear Pizzazz inks on a panel of Whisper White card stock inside the card. Do you want all of the great new papers, ribbons and embellishments in the 2016-17 Catalog but can’t afford everything? Join in my share! New Designer Series Paper Share – $31.00 plus $5 for Priority Mail shipping. New Ribbon and Embellishment Share – $46.00 plus $3.50 for 1st Class Mail shipping. Want it all? $77 plus $5 for Priority Mail shipping and you get a free pack of the new Solid Baker’s Twine. Double shares are available too! **Please note: I’ve got an early sign-up deadline of May 20 for my shares. See more details about my shares and sign-up here. This entry was posted in Birthday, Quick and tagged birthday card, Cottage Greetings, Swirly Bird. Bookmark the permalink. Thanks so much Roberta! I just dropped the catalogs off at the Post Office so they’ll be on the way to you later today. Yippee!! Oh I’m so Jelly, you have the Swirly Bird Set already…..and your card is absolutely fabulous and fits all the challenges, wow!…and thanks for pointing out the birthday stamp set, it has some great sentiments, I think I need that one!. Oh Amy, I must be honest, I’ve been through the catty several times and nothing screamed at me. Well after seeing your card, which is over the top darling, I found the first stamp sets I will put on my order. Way too cute. Love everything about this card. I love this set! It is in my order if it ever gets here! Cute card! Love your card Amy – that little swirly vine wreath is so cute! Great idea using the framelit as a mask, I never think about that but it’s such a great way to add depth without bulk. Yippee on new cattys coming, I can’t wait!! I know this sounds silly, but I never considered putting the flowers on the branch swirl. It looks absolutely perfect! And to use the framelit as a mask, it’s just the right amount of color 🙂 I haven’t got my set yet, but another CASE card! Love it Amy!! This is stunning!! I love that you used the negative of a label as a stencil, great idea! And it really grounds your beautiful wreath and sentiment! Thanks for joining us at CAS-ual Fridays Challenge! Oh, this is so pretty! Wonderful take on the sketch, Amy! Beautiful colors and so perfectly crisp and clean….. a lovely interpretation of CTS #170! Love your take on the sketch, Amy! That wreath is so charming! This is so pretty, Amy! I love the little wreath you created and the tiny blooms. Thanks so much for playing along with us at Stamp Ink Paper! This is so beautiful in its simplicity! Thanks for playing along with the Stamp Ink Paper One Element challenge!